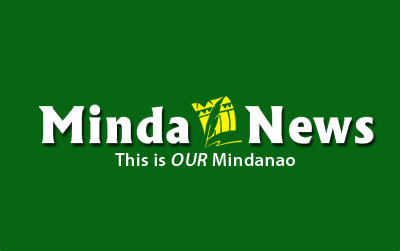 DAVAO CITY (MindaNews/05 February) – In 2001, the towns of Balo-i, Munai, Nunungan, Pantar, Tagoloan and Tangkal in Lanao del Norte voted “yes” to their inclusion in the Autonomous Region in Muslim Mindanao. But they remained with Lanao del Norte, as Congress did not pass a law making them a separate province under the ARMM. 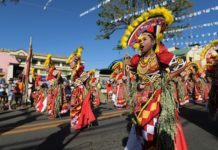 The February 6 schedule of the plebiscite on the Organic Law for the Bangsamoro Autonomous Region in Muslim Mindanao has given these towns another opportunity at joining the new political entity. It won’t be that easy, however, because the entire province will vote on their proposed inclusion. It means a win for the “yes” vote in the six towns would be meaningless if the “no” vote prevails in the province as a whole. The highest officials of Lanao del Norte – Governor Imelda Quibranza-Dimaporo, husband 2nd District Rep. Abdullah Dimaporo and son 2nd District Rep. Khalid Dimaporo – are opposing the inclusion of the six towns in the Bangsamoro region. The Dimaporos’ opposition to the inclusion of the six towns in the Bangsamoro has sparked a word war between them and the Moro Islamic Liberation Front. Yet, sans the emotions and the accusations of bad faith hurled by both sides attendant to the issue, what lies at the core of the Dimaporos’ opposition? Two things stand out: a diminished political clout with a shrunk territory, and a reduction in the province’s internal revenue allotment, which is computed based on land area and population, among others. Lanao del Norte has a total land area of 2,533.2 square kilometers. The six towns cover 1,080.48 km2 or close to 43% of the province’s land area. Its population (2015 census) stands at 676,395 of which 44.19% are Muslims. According to the same census, the six towns have a combined population of 159,930 or close to 25% of the province’s total population. The implications of these figures alone are enough to rattle anybody at the helm of the provincial government, in particular the Dimaporos whose family has been in power since the early post-war years. That’s why they’re saying that while they support the Bangsamoro Law they don’t want Lanao del Norte to have anything to do with it.